My program is centred around mindfulness and motivation. It is about self-awareness and finding purpose. Your purpose is going to be your biggest driver that will fuel and maintain your motivation. We begin by developing a plan. I then offer skills, techniques and strategies that are solution focussed and outcome based, all of which will help you to not only achieve your goal, but to also ensure long term success. Hence, I offer the ultimate in personal development and growth. Assistance with the development and implementation of your goals. One on one personalized program which can help you to remain focussed and committed to achieving your goals. Offers a variety of skills and techniques which have proven to be very useful and effective in terms of remaining motivated. A variety of strategic interventions and solutions which clients are finding incredibly powerful. Mental training using self-talk and affirmations. Look at how health & happiness connect. Exercises to help increase your self- worth and self-esteem. Ongoing support and encouragement to keep you on the right track. 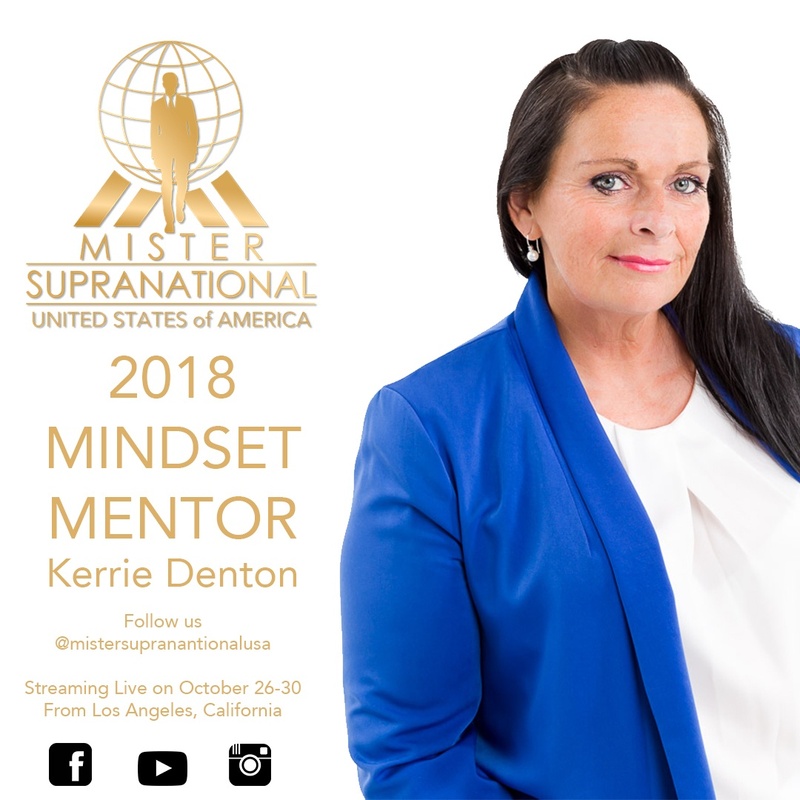 International Speaker, TV Personality and founder of Motivation 2 Conquer has recently returned from the United States of America after participating in the Mister Supranational USA Pageant as the “positive mindset mentor” for the finalists. Kerrie is currently offering the exact session she put the contestants through. are just some of the words used by the participants. Kerrie will take you through her “See it, Say it and Feel it” process which is her own recipe to achieve an unbreakable mental mindset. You will also be taken through Kerrie’s 8 steps to possess and maintain positive energy PLUS you will be given a very powerful tool which you can use anytime, anywhere. This tool when used properly, can boost your motivation, boost your self-confidence, calm and centre yourself and can even help you to block out negative energy should someone or something be trying to bring you down. This offer also includes a FREE HARD COPY of Kerrie’s internationally successful motivational book “My Secret is Your Secret” which will be mailed out to you straight after your session. You will be taken through Kerrie’s “See it, Say it and Feel it” process which is her own recipe to achieve an unbreakable mental mindset. Feel free to get in touch with me below to book me to speak at your next event! Disclaimer: Kerrie Denton will not be held liable for any plan, program, material or techniques provided as results are not guaranteed. This service offers support and guidance only. Clients are responsible for their own decisions and actions. I do not recommend or guarantee any website links or articles provided on this website. It is provided for your convenience only. It is advised that a participant seeks me.